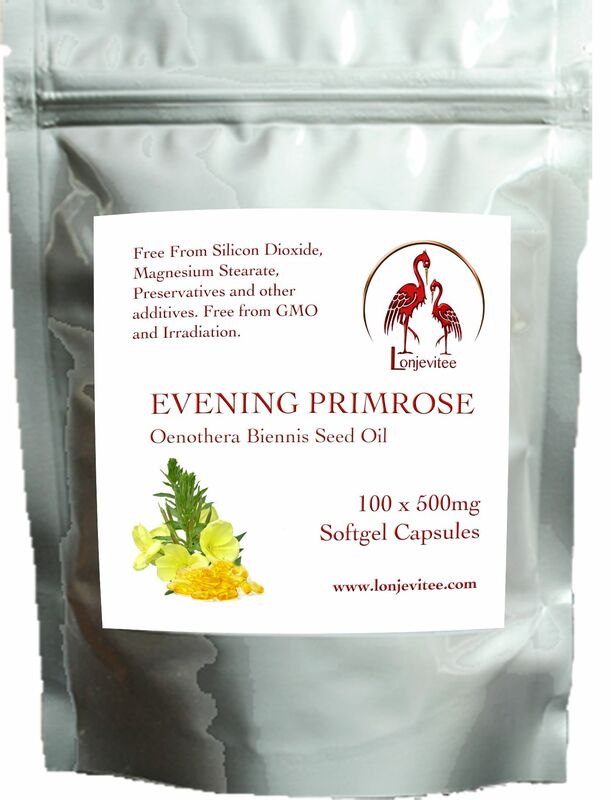 Evening Primrose (Oenothera Biennis seed oil) 500 mg softgel capsules. Evening primrose oil is beneficial for a wide range of problems, in particular those experienced by women, such as PMS, breast pain, menopausal symptoms, high blood pressure during pregnancy. Before being introduced to Europe centuries ago Evening primrose was used by Native Americans. These capsules have added Vitamin E to boost the anti-ageing antioxidant benefits provided by the Gamma-Linolenic acid. Suggested daily intake: 2 capsules with food once or twice a day. 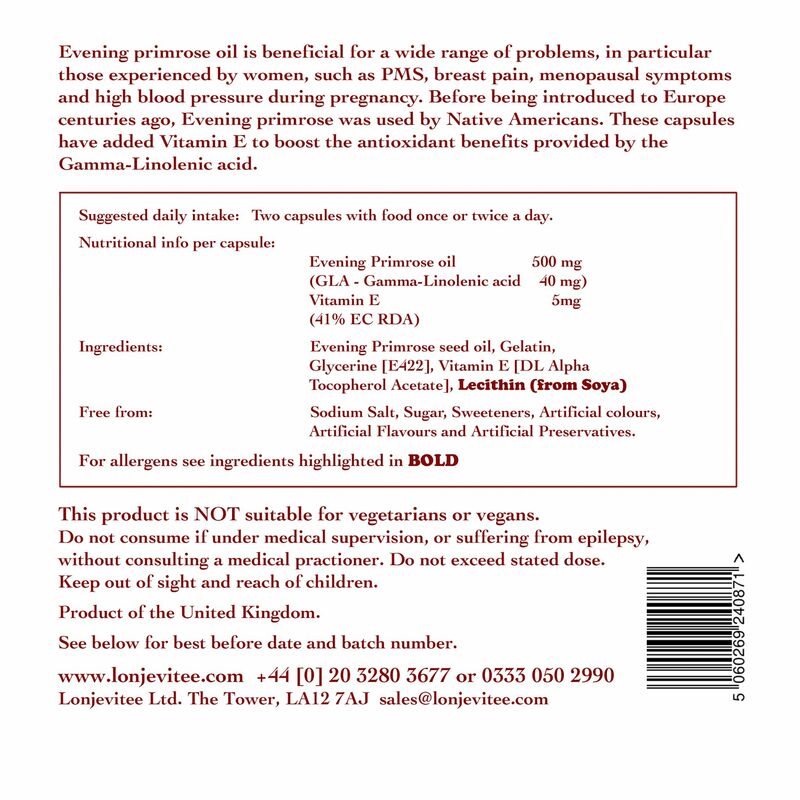 Evening Primrose seed oil, Gelatine, Glycerine (E422), Vitamin E (DL Alpha Tocopherol Acetate), Lecithin (from Soya). Free from: Sodium Salt, Sugar, Sweeteners, Artificial Colours, Artificial Flavours, Artificial Preservatives. Do not consume if under medical supervision or suffering from epilepsy without consulting a medical practicioner.